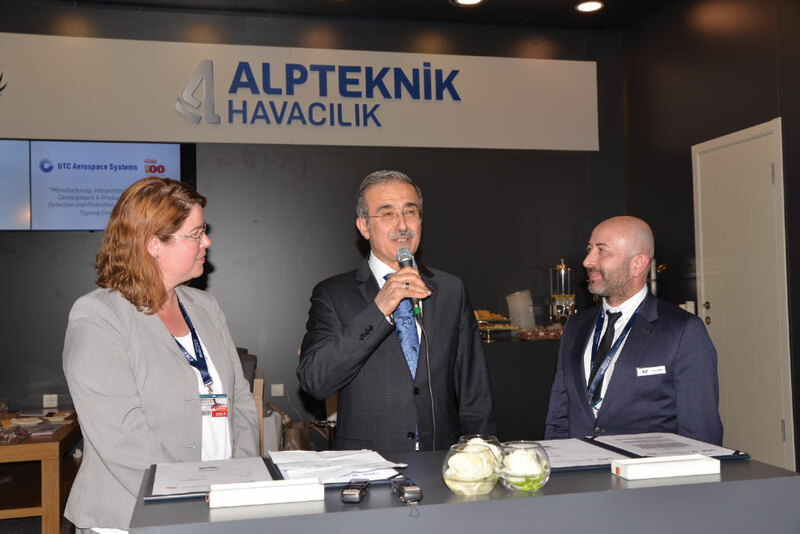 At a signing ceremony at the Eurasia Airshow on the 25th of April, UTC Aerospace Systems signed a wide memorandum of understanding with Alp Aviation covering much of the company’s Sensors & Integrated Systems business unit. As part of the agreement, the two companies will cooperate to begin phased production of components within UTC Aerospace Systems’ Kidde Dual Spectrum automatic fire/explosion suppression (AFES) systems for military ground vehicles at Alp Aviation’s campus in Eskisehir, Turkey. By providing a localized product that meets Turkish requirements, the two companies will work together to support Turkish original equipment manufacturers building military ground vehicles for the Turkish military, including the Turkish Land Forces. Fitted on more than 275,000 vehicles in 20 countries, the AFES system comprises extremely fast and highly accurate Dual Spectrum sensors that detect fires and explosions in zones such as crew areas and mechanical compartments. The AFES extinguishers are equipped with high-speed valves to immediately flood affected compartments with efficient and approved extinguishing agents. Typical reaction times from detection to full suppression are within milliseconds. Fire or explosions caused by rounds penetrating the vehicle are effectively suppressed by this near-instantaneous response. Work is expected to begin at Alp’s Eskisehir facility in the coming months. The Turkish military ground vehicle market includes roughly 850 vehicles built each year. “We are proud of this accomplishment and to further strengthen our relationship with UTC Aerospace Systems. We will continue to work hard in bringing the most up-to-date technology to Turkey and increasing our work share with additional projects,” said Senay Idil, General Manager, Alp Aviation. “With this project, it is targeted to produce and export these products with an increasing domestic added value. Having a wide range of implementations including land, air and marine vehicles as well as commercial vehicles, intelligent buildings and industrial structures; a technological achievement would be attained in this field with the domestic production, with after-sales support and export of the fire prevention systems being one of the longer-term targets of this partnership.